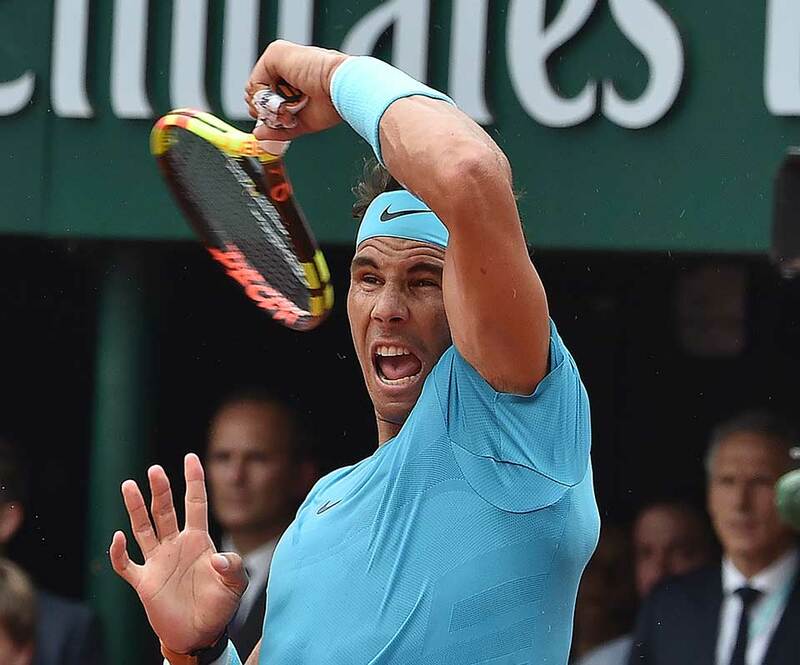 Rafael Nadal set another record on the clay with a 6-4, 6-3 6-2 defeat of Dominic Thiem to claim an unprecedented 11th title at Roland Garros. By Nadal’s elite standard, the closing stages were slightly laboured, with the world No. 1 dealing with a cramping middle finger on his left hand in the third set and requiring five match points to close it out after two and three-quarter hours. 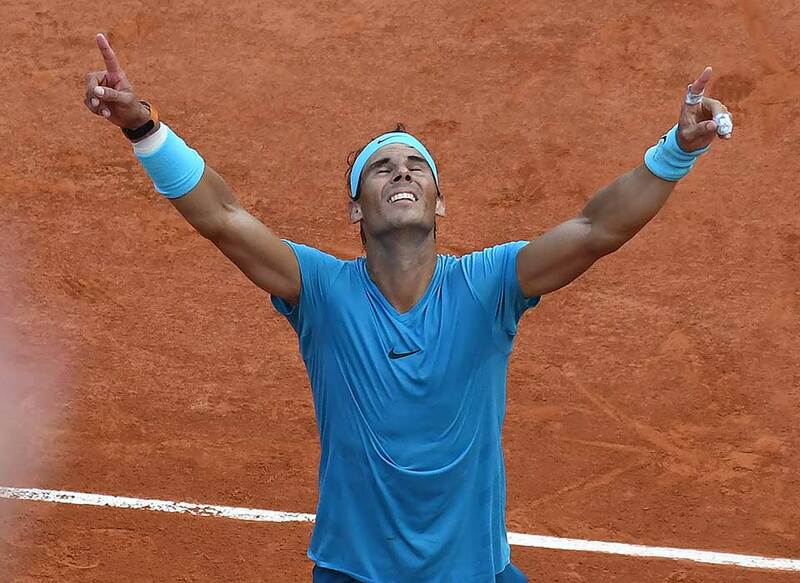 The Sunday victory procession came against the only player to have defeated Spain’s King of Clay on his favoured surface in the last two years: once in 2017 and last month in Madrid. The trophy completed an informal hat-trick for Nadal, who also won his 11th trophies this season at Monte Carlo and Barcelona. “It’s incredible to be able to win here again. I’m very, very content, Nadal said. “Dominic played well, he’s a tough rival and always difficult to beat, he’s also a good friend. “This was my best match of the tournament, it was a very important win for me. I cannot describe my emotions, to do this was not even a dream for me. Nadal claimed his 17th Grand Slam title, pulling to within three of Roger Federer, who skipped the clay season for a second straight year. 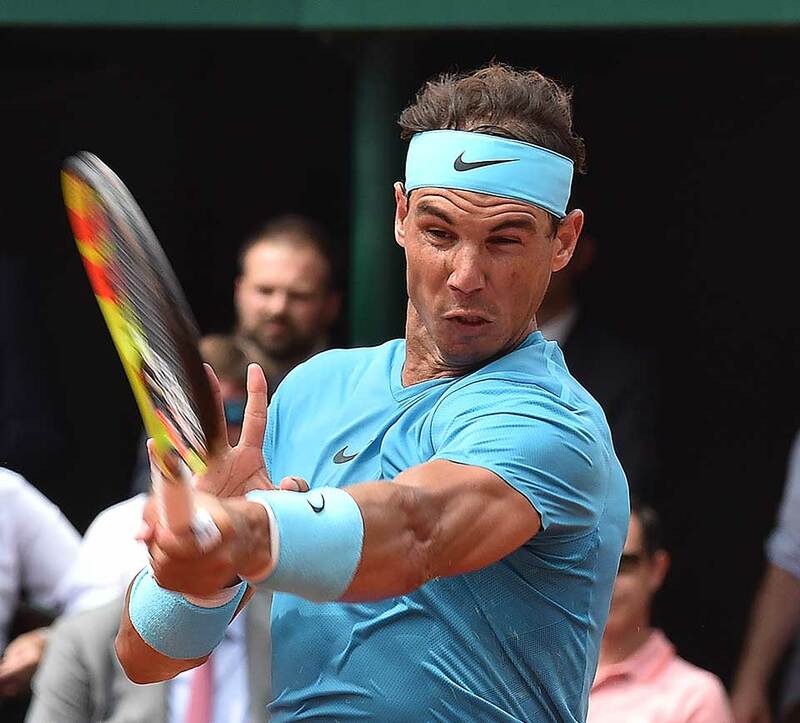 The 32-year-old Spanish champion has proved more than resilient at Roland Garros, losing just two matches at the venue since his 2005 debut. The victory was revenge for Thiem’s defeat of the Spaniard on home ground in Madrid, a win which ended Nadal’s 21-match win streak on clay. “Very well done to Rafa, he played and extraordinary match,” the Austrian said. “It’s still been a good two weeks for me, playing in my first Grand Slam final. 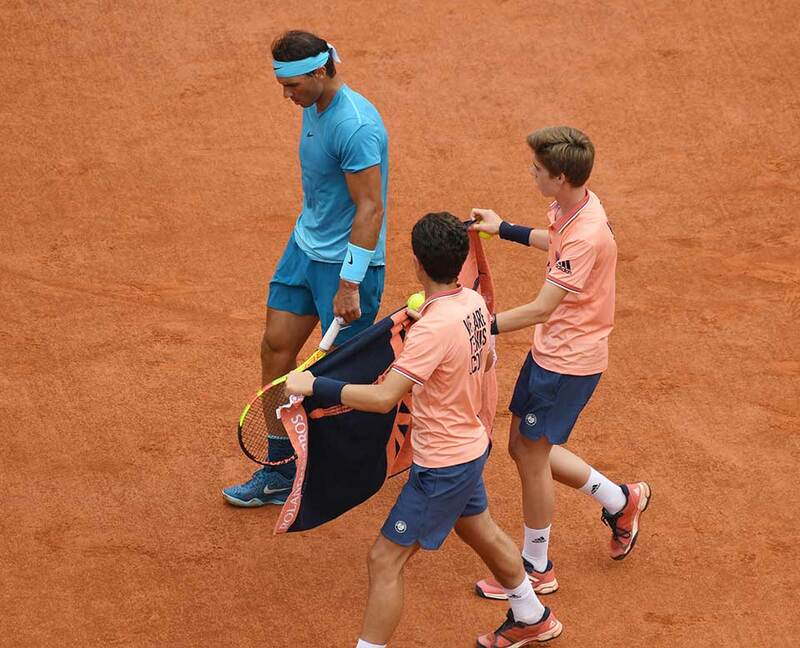 Despite a forecast threat from the weather – which never materialised – neither man seemed to be in a particular hurry to start, with Nadal winning the first six points of the final before Thiem got untracked in a game where he was broken to trail 0-2. The Austrian got it back a game later for 1-2, and had soon to fight off frustration in a sixth game, which lasted for 12 long minutes. Thiem was over-ruled when he stopped playing on his own game point on a Nadal return which he thought had landed wide. While the chair umpire saw it in Nadal’s favour, a television replayed showed the Spaniard’s shot had actually landed out. Thiem struggled before finally levelling the set at 3-3 after saving a pair of break points in the mini-marathon. Nadal finally got his opening as he led 5-4, earning three set points, After 57 minutes on court, the first was sufficient as Thiem returned a serve long to lose his serve to love. 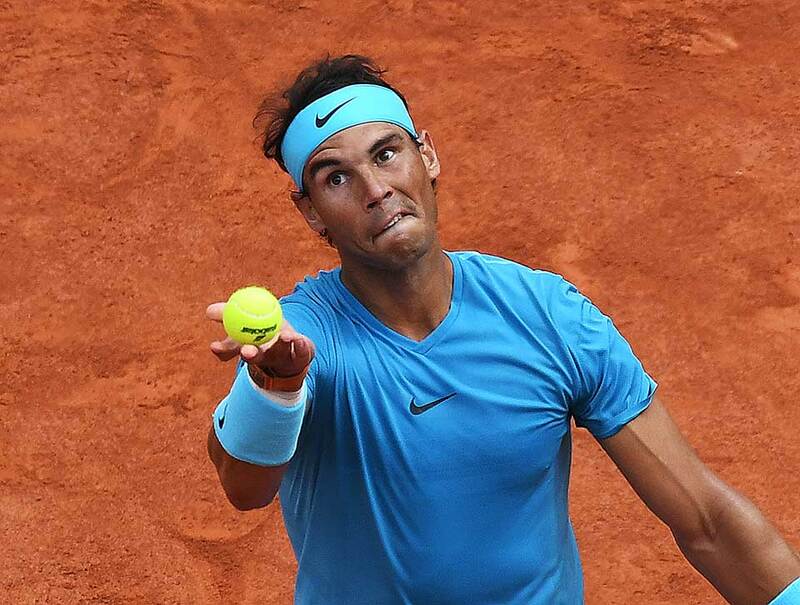 With his confidence perhaps boosted by the fact that he stands 13-1 in Grand Slam final when winning the first set, Nadal ploughed ahead, breaking into a 2-0 lead and maintaining his dominance. The Austrian seventh seed forced the Spaniard to save a break point as Nadal moved ahead 5-2. 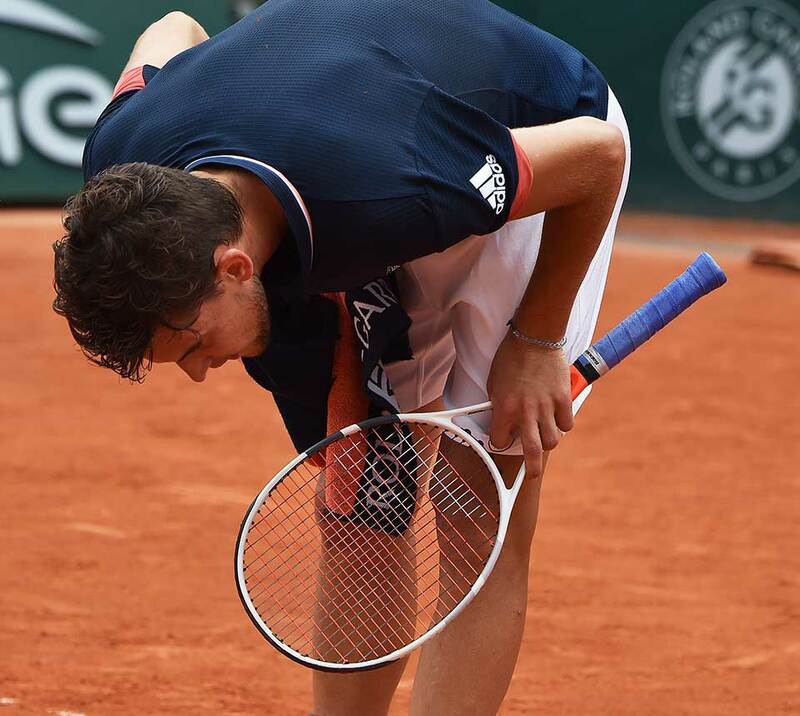 The top seed made it two sets to love as Thiem twice fired wide on returns as the match neared the two-hour mark. As he rolled towards victory with a 3-1 lead in the third set, Nadal needed treatment for cramping in his left middle finger. But the incident was just a minor distraction as his juggernaut gained pace with the end approaching. The Spaniard stepped it up with a break for 5-2 and completed the win on his fifth match point from Thiem’s backhand long over the baseline. 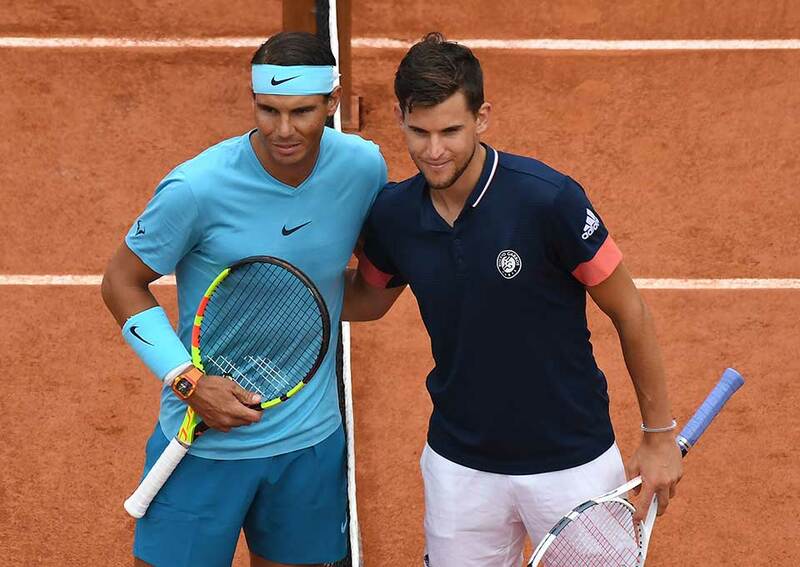 “There’s a reason why Rafa has won her 11 times,” 2011 French Open junior runner-up Thiem said. “I didn’t play that badly, he was just too good. 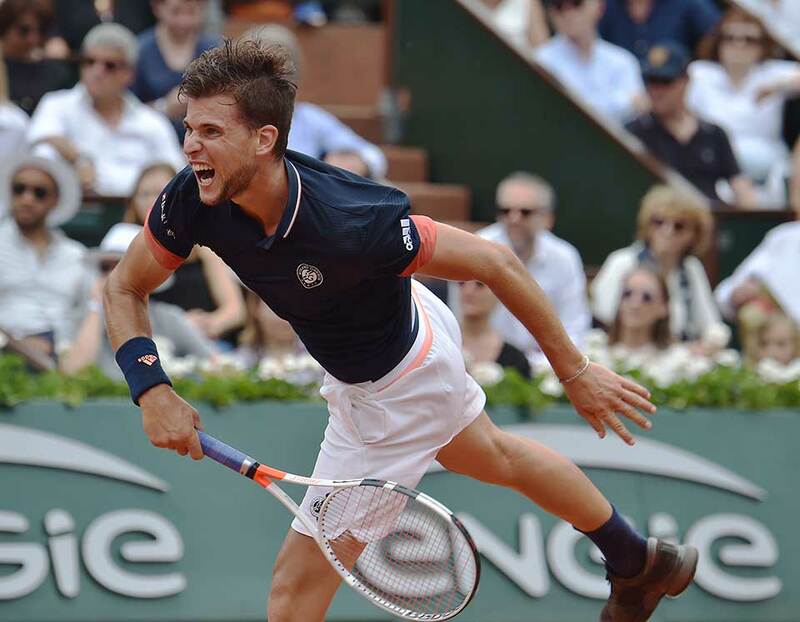 Thiem remains the victory leader this season, with 35 wins, while Nadal stands third with 30; each of the pair have won 26 matches on clay in 2018. Nadal stands 7-3 over Thiem in their lifetime series and 2-1 against the Austrian since January.